Mustang Seal Solutions specializes in precision machining for the oil and gas industry. Mustang Seal offers specialized services in CNC Turning/Boring and Milling. At our machining complex, we work with a wide variety of materials from industrial grade plastics, and R&D Rubber. We have Machining capabilities up to 28” depending on the length and complexity of the part. Our engineers and technicians can plan for the manufacturing and integrate your product in CAD simulation. Thus, no need to prototype as you can view the simulated results and consult with us for necessary adjustments. Built on a reputation for on-time delivery and high quality, our precision machining creates value for our customers. For the last 6 years customers have relied on Mustang Seal Solutions to perform complex to simple machining processes at the most competitive prices in the market. We provide service from the concept stage during design all the way to the finished product. What Materials can be machined? We machine a wide range of materials from metals to plastics. Share with us what you have in mind and we will get back to you. We offer prototype machining for your design and verify it for you using software simulation. Our technicians will also advise you on best alternatives available in case of bulk production or tests. We also carry out inspections throughout our process to ensure the quality of the product. 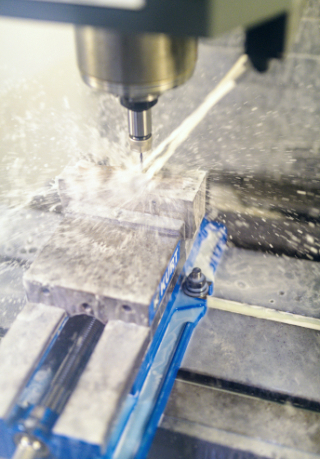 What sector of industries does your CNC machining serve? We are dynamic, moving with emerging technologies across the globe. We serve a variety of industries from oil & gas, construction, manufacturing, research and development and many more. We are not limited in our capacity; our clients are our priority.